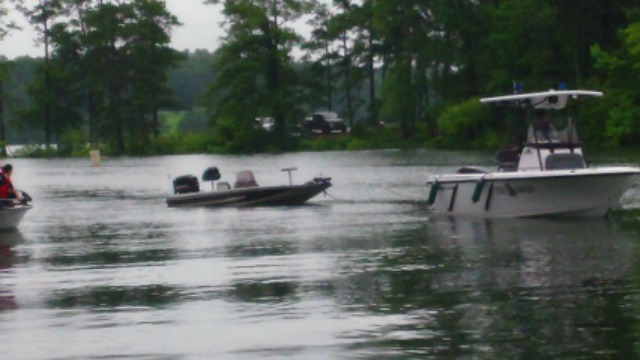 I was just skimming back through articles about Vaughn Taylor when I came across this story from Scott Michaux where Taylor had a near death experience in 2014 when on his boat fishing without a life jacket. Vaughn Taylor had a near death experience while fishing in 2014. Fishing alone last August below Strom Thurmond Dam just six miles up the Savannah River from his home, Taylor’s boat was swamped after one of his aging anchor lines broke. Not wearing a life vest, he originally tried to save his boat from sinking before realizing he was in bigger danger himself. His mind quickly raced to his wife, Leot, and infant son, Locklyn, at home. Taylor got lucky. Dam operators lowered the flow to ease the current and he eventually grabbed hold of a waterproof tackle box that served as a flotation device to help him swim to shore a couple of hundred yards down the river. He’s also lucky that his deteriorating anchor line gave away on a warm summer day when he was only wearing shorts instead of in winter.